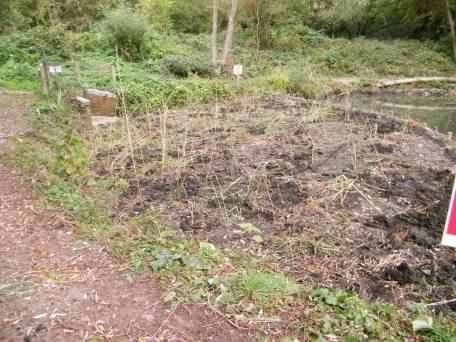 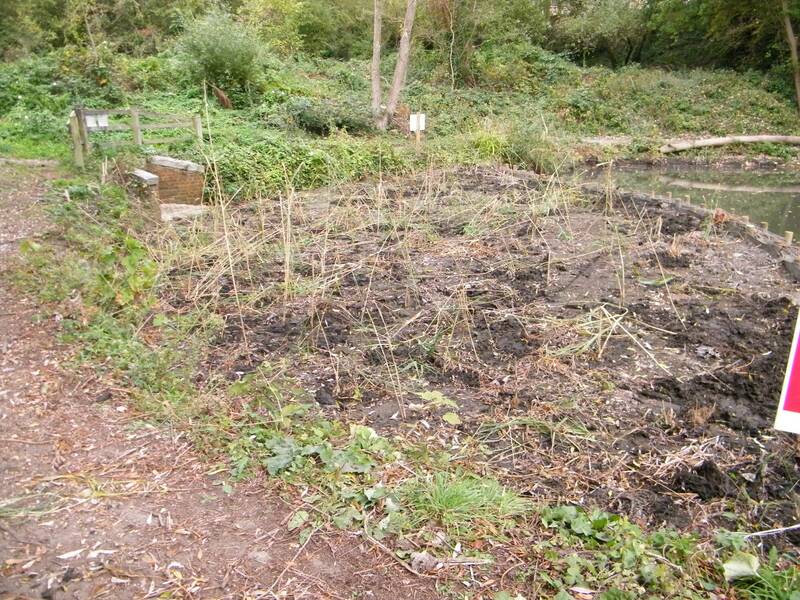 After the what turned out to be very short works timescale, two weeks down from eight to twelve, we were left with a lot of clearing up and some running repairs, whilst the pond refilled. 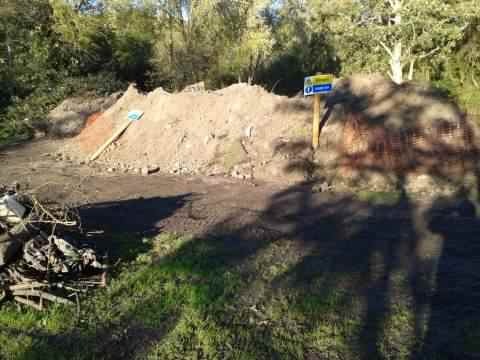 The major problem was a very large spoil heap which originally been one of the original bramble covered bunds from the park's construction. 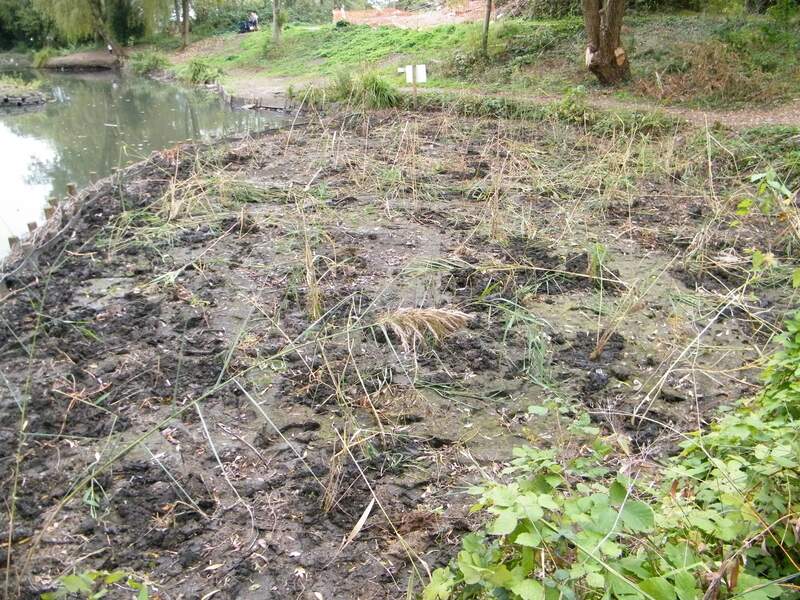 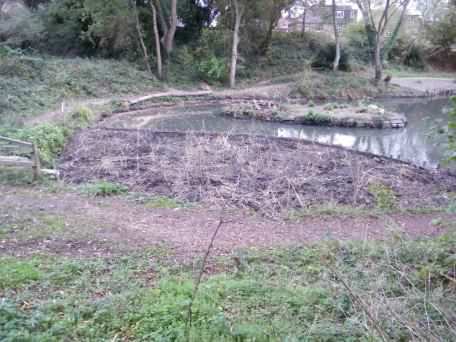 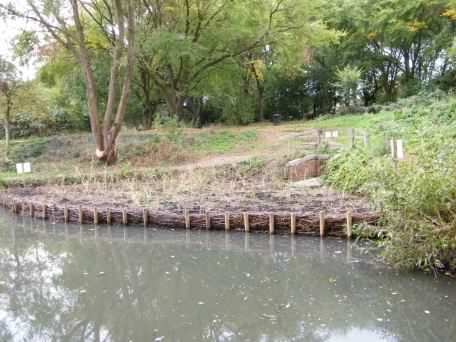 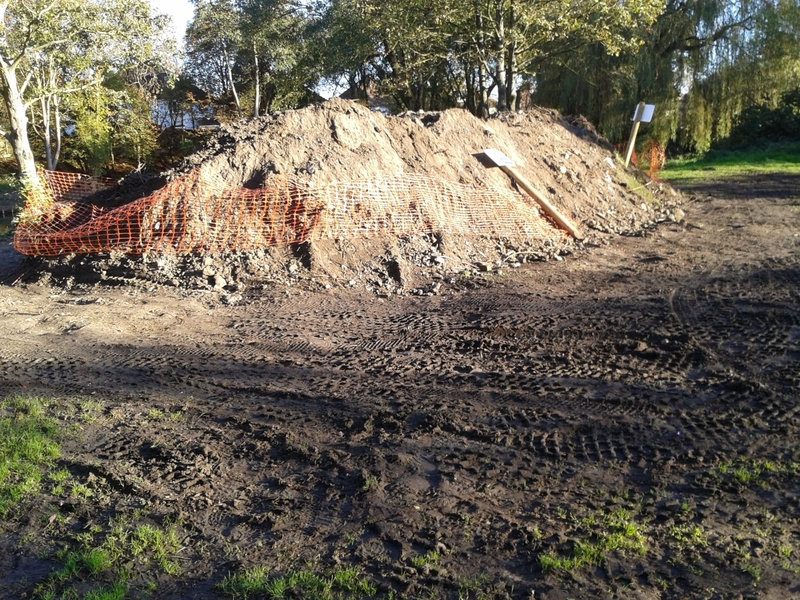 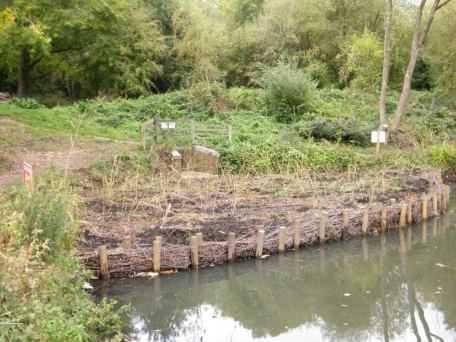 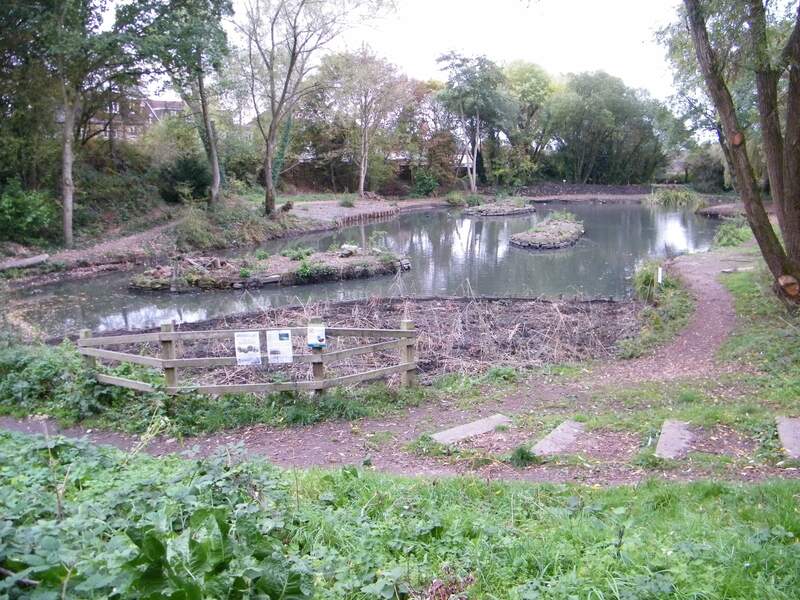 The pond reclamation contractors allegedly needed to de-construct the bund to gain access to the pond, but having started the job they then found a small piece of asbestos roof sheet and halted work citing health and safety concerns. 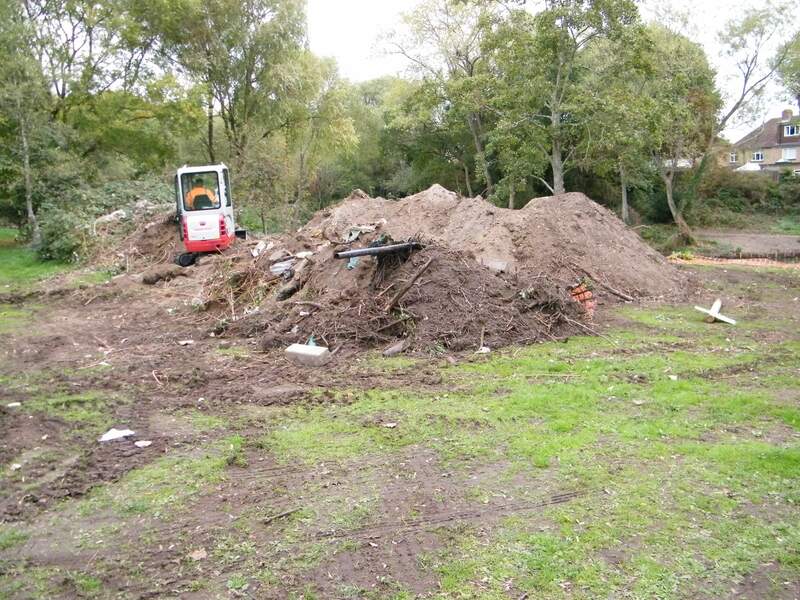 Subsequent testing found this to be non-problematical, but by then they had finished and de-camped from site, leaving Rushmoor Council and us with the clear up. 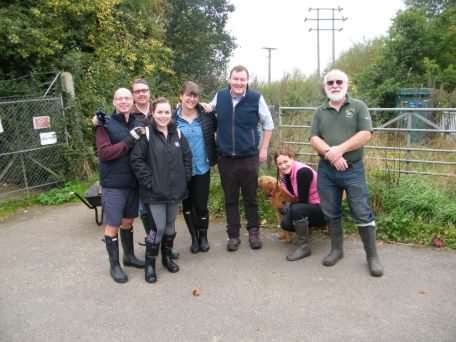 Volunteers from Alphabet Left - volunteers from Alphabet (BMW) who collected Common Reed - Phragmites australis donor plants and then replanted them in our newly constructed reed bed. 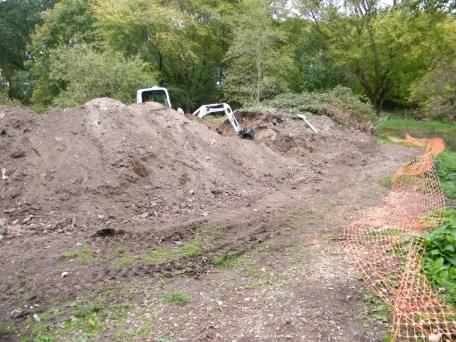 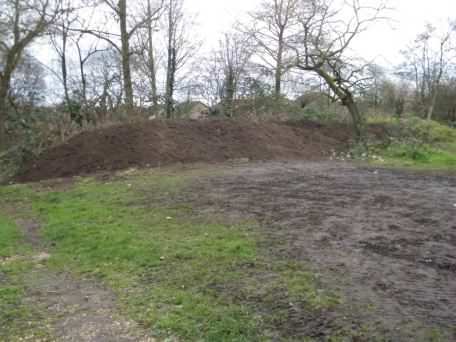 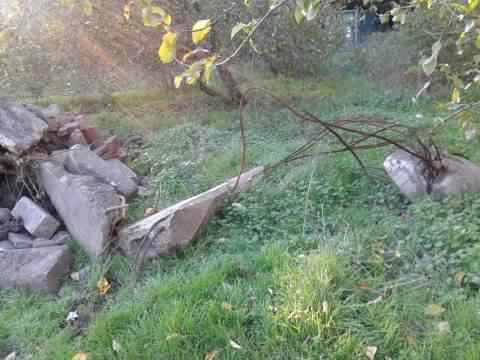 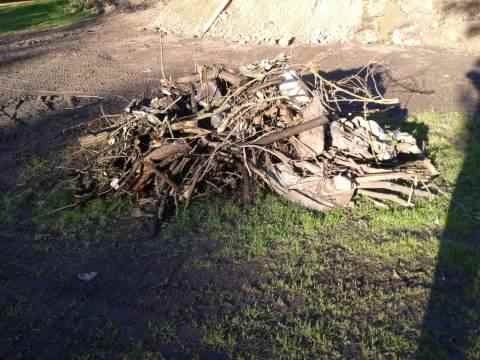 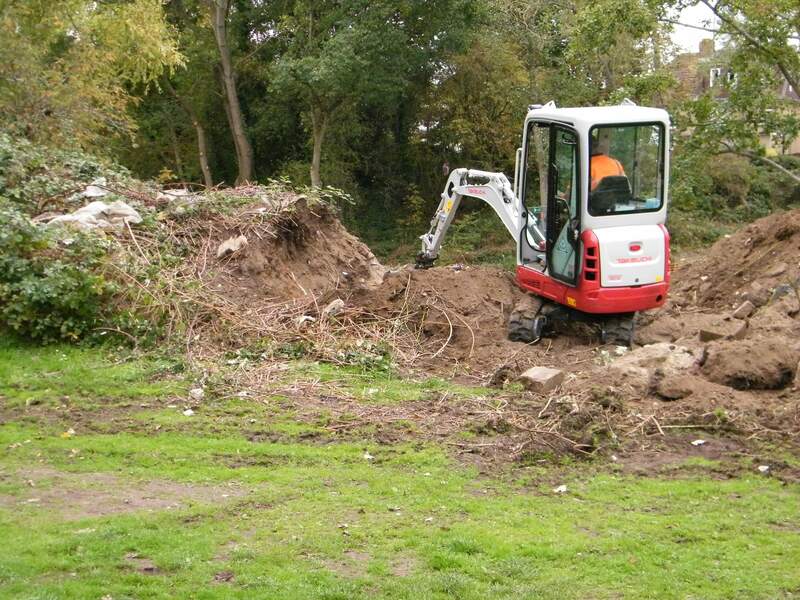 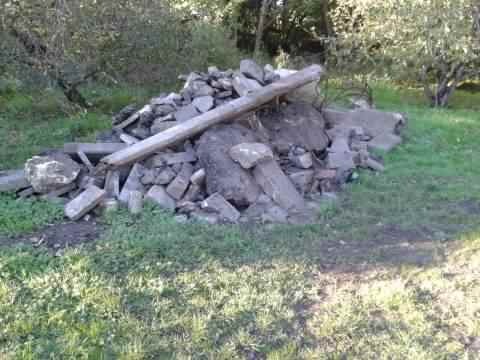 Multiple contractors could not move the 30 tons or so off site at anything like a reasonable cost, so the pile was picked over on an ad-hoc basis by the council grave digging team separating out the larger concrete pieces and rubbish into a skip. 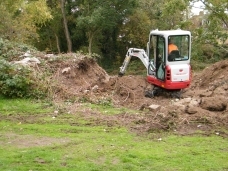 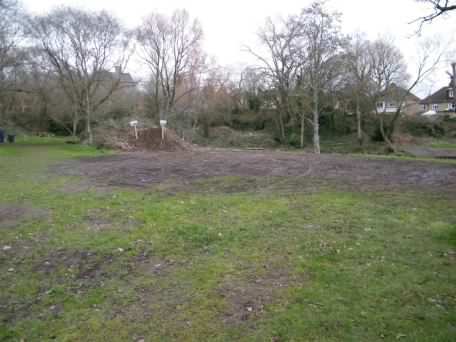 The remainder was then moved and aggregated into another of the original onsite bunds. The Brickfields volunteers along with a corporate group from BT spent around sixty hours grading out the larger stones and levelling the site. 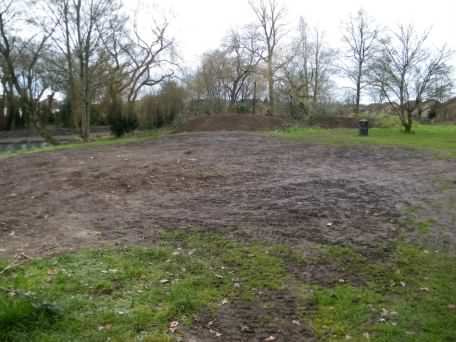 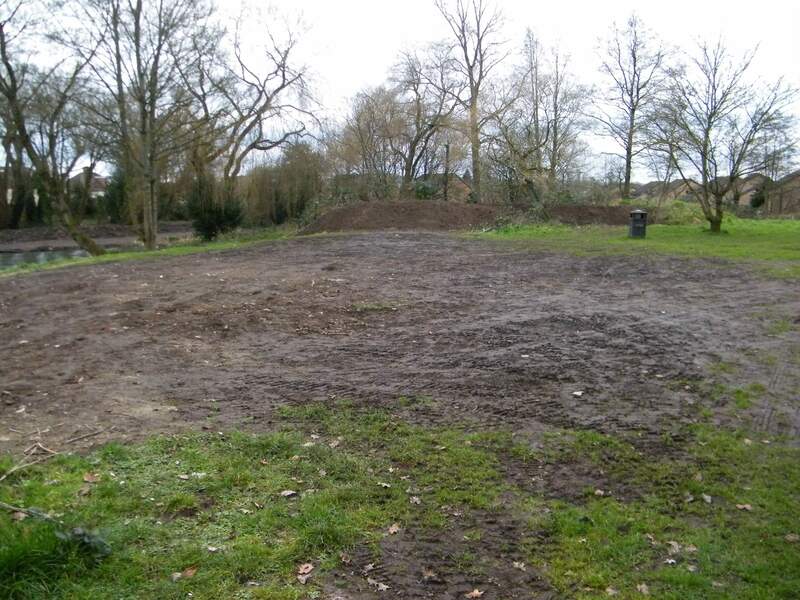 With the job finally finished we will sow the main area with grass seed once the warmer weather returns and the weed free aggregated bund will be sown with a wild flower mix at the same time.